Professional Decal Installation and Removal Services » JPD GRAPHICS, INC. Welcome to JPD Graphics, Inc.
JPD Graphics, Inc. focuses on large and small scale format graphic installations. We provide our customers with cost effective quality work in a timely manner. Using a wide variety of adhesive backed vinyl our installers can partially or completely wrap cars, buses, trucks, trailers, trains, windows, floors, and walls. You name it, we do it! We can install or remove decals on-site in any location nationwide with minimal downtime and on schedule. For a free estimate on decal installation and/or removal of any size please fill in the On-line Quote Request. For further information, please contact us at (877) 727-8100. Your fleet is your company’s image on the road. Our team can help you be more visible with an unlimited positive impact. We can install / remove decals on-site, or at our convenient location in Elk Grove Village, IL. Our installation facility is large enough for any job, and we offer vehicle pick up and timely delivery. From cars and vans to trucks, trailers and buses, no vehicle is too small or too large for our experienced installation and removal team. We’re experts in 100% graphics coverage on buses and trailers. Only a small percentage of installers can handle such projects. No one can match our 3M certified quality. Walls, windows, fascias, and canopies – JPD Graphics, Inc. has professionally applied graphics to them all in a wide variety of retail and other corporate settings. We have helped hundreds of companies enhance their interior and exterior visual image. For a single location or a chain of stores, if you look for the best impact and high quality, you can count on our timely service anywhere, and at any time, year round. Our people and technologies can help you maximize the impact of your event. Meetings, conferences, trade or road shows. Parties, festivals, and sports events. We can help you make them very special. The high-impact graphics of any size we install optimize exposure and grab attention. 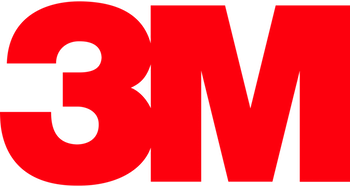 3M – certified installers and recommended. Newsletter - Your information will always be kept confidential. © 2017-2019 DTL.PL – All rights reserved.